Jordan tours from Israel to Petra, Wadi Rum, from Eilat. Travelling into Jordan from Israel: Jeep tour, camel, hiking/ trekking trips. 4X4 tours to Jordan- Petra and Wadi Rum, Jerash, Madaba, Mt. Nebo, Dead Sea canyons. Excursions to Petra from Eilat. Can be arranged from Jordan as well. We take your passport details before the tour and arrange the visa for you. You receive it at the border on the day of your trip. The visa costs $60 for visitors to Petra and there is a further $65 charge for the border taxes and tips so the total border fee on the day is $125 (or $133 if paying by credit card). People spending two nights or more in Jordan get the Visa for free and since hotels are more comfortably priced than those in Eilat it's an option that a lot of our guests go for. Just one night in Jordan reduces the Petra Entrance fee by $60, so for most people it's definitely worth staying a night or two and taking in more of the sights. Of course you can arrange a visa in advance if you wish but you'll find it's cheaper and more convenient to simply do it through us. People who choose to spend a night in Aqaba before their tour will receive transportation right to their hotel, including help crossing the border. The New York Times is recommending Desert Eco Tours' trips to Jordan and Petra, travel with Desert Eco Tours. First Day - We begin our tour with Petra. Departing Eilat early morning we cross into Jordan and head straight to the ancient city of Petra. The tour takes in the most popular highlights of Petra beginning with the Treasury and the Siq Canyon and heading right through the main centre of the site. After lunch in Petra we have some free-time. Time allowing you may choose to take an optional hike up to The Monastery on Jabel A-Deir, or the High Place of Sacrifice, but prior notice is required for these options. Following the tour we meet you at our nearby offices to drive you to your hotel near Petra, or to a Bedouin camp in the desert. Other accommodation options are available below. You also have the option, for a supplement, of ascending to the summit of Aaron's Mountain to the shrine of Aarons Tomb (also called Jabal Haroun) we board a local Bedouin 4x4 pick-up for the off-road drive to Mount Aaron. We leave the vehicle where the jeep trail ends and begin the half hour ascent to its summit on foot. On the mountain peak we find Aarons shrine and enjoy the astonishing panoramic views from the mountain's summit. Option 1- Visiting the historical sites of Madaba, Mt. Nebo and Jarash. Following breakfast we start the day at Madaba. Madaba is rich in history and renowned for its ancient mosaics and Byzantine churches. We take in the highlights of Madaba including the famous 'Madaba Mosaic Map' (Madaba Map), consisting of 2 million pieces and dating back to the sixth century it depicts Jerusalem and the surrounding areas. Other mosaics are found in nearby churches and museums. Not far from Madaba is the biblical Mt. Nebo, where, according to Jewish and Christian tradition, Moses saw the promised land. After taking in the views from the mountain we head to Jarash. Jarash is widely considered to be one of the most remarkable and best preserved Roman cities in the world. It was hidden beneath the desert sands until just 70 years ago, when excavation and renovation work began. This day is particularly long and includes relatively long drive times. Option 2- Experience some real desert 4x4 adventure on the spectacular off-road routes which wind their way through the Edom Mountains to the Arava Valley (Arabah). We go off-road through the dramatic landscapes of the Southern Arava canyons, driving over the red sand dunes and taking in the superb desert scenery. We continue through this enchanting landscape to the area's most impressive canyons, here scenic 4x4 trails take us up to the heights of the Edom mountains. 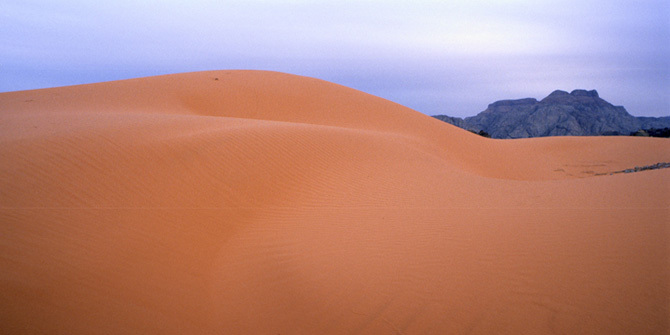 The area has scenery similar to that of Wadi Rum yet remains almost untouched by tourism. We visit local Bedouin who tend small orchards scattered throughout the canyons. This tour takes in scenery that is amongst Jordan’s finest. This option combines scenic off-road routes with some walking, it is particularly recommended for the winter season. Option 3- The area south of the Dead Sea is home to Jordan's renowned canyons. Wadi Zered (Hisa) is one of the most impressive canyons of all and relatively easy to explore. It is staggeringly deep and flows year-round with hot spring water. This remarkable semi-tropical oasis is set against a striking desert backdrop. We ride down to the canyon on a scenic 4x4 route into Wadi Nimla, here we leave our vehicle to take a hike into the stunning Hisa canyon. The canyon has a stream running its entire length and getting your shoes wet is unavoidable. A change of footwear for after the hike is advisable. The tour includes a hearty picnic lunch in the canyon. Option 4: Adding another day in Petra- This is a full day touring Petra independently or with a local Bedouin scout (no guide); Our staff take you from your accommodation back to Petra and you spend the day exploring yet more of the major sites, you may choose to get a closer look at the Royal Tombs and the archeological ruins on the lower grounds, or for the more energetic the 'High Places' of El Dier (Monastery) and the High Place of Sacrifice are particularly popular, you should be aware that to cover both of these high sites on a single day requires an early start and a high level of physical fitness as each one requires a good uphill hiking ability and for most people one 'high place' is enough on a single day. Please advise our office in advance if you wish to see both sites on the same day so we can prepare the early transportation. Lunch is again included. And by afternoon you meet up with our tour staff that will take you to your hotel. The cost of a local scout to lead you on your route on the second day is $80 inclusive for the whole group. Day 3- This day covers the highlights of Wadi Rum. Having arrived at the village of Rum inside the nature reserve, we board 4X4 jeeps, driven by professional Bedouin drivers and journey to the sandstone area of Wadi Rum. Here we go off-road into its unique landscape and get right off the beaten track to explore rarely travelled ancient merchant routes. The enchanting Wadi Rum is an area almost surreal in its distinctive beauty. We cross red sand dunes and explore the beautifully eroded pillars of sandstone rock. It was this area of Wadi Rum that so inspired T E Lawrence (Lawrence of Arabia). Wadi Rums beauty remains intact and its breathtaking scenery is still an inspiration for those who travel there. Lunch is enjoyed en route in the great outdoors. The tour includes the Seven Pillars, Khaz Ali canyon and Jabel Um Asharim. Returning by evening Eilat. High season- 12$ more p.p. 2 people $650 p.p. in total. 3 people $570 p.p, 4 people or more $555 per person. Adding a Bedouin scout for the day will cost $80 more for the group. The additional cost for Aaron Mt. by jeep: $195 inclusive up to 3 participants 4 people and more $65 each. Including: Everything as listed, including accommodation, all transportation, all meals, mineral water, entrance fees, transportation, guides, border assistance etc. Not included: border taxes and handling $65 p.p. & tips ($10 p.p. per day min) not incl. drinks with meals in restaurants (as standard practice). 2-3 people: additional $130 per person, 4-6 people additional $80p per person. In case of option 1 only: 2-3 people: additional $165 per person, 4-6 people additional $130 per person. This jeep tour in Jordan focused in Southern Jordan, Petra, Wadi Rum, The Edom Mountains and the Canyons of the Dead Sea area. Difficulty level - from easy to difficult, according to request (Hotel accommodation upon request) Explore the beautiful and vast Wadi Rum, with its red sand dunes and natural pillars of sandstone rock, sculptured by millions of years of gentle erosion. This enchanting and mystical region was the favorite place of T E Lawrence (Lawrence of Arabia) and here we find the towering pillars named after his famous book 'The Seven Pillars of Wisdom'. We tour this magnificent region for two days and spend two Arabian Nights in the soft sands under the starry desert skies. Journeying on from Wadi Rum we arrive in Petra. This legendary city was carved thousands of years ago from the red Sandstone Mountains by the ancient Nabataeans. Having walked through the magnificent canyon that leads there, the beauty of this wondrous city is suddenly revealed to you. Having explored this historical phenomenon we return to our jeep and begin our journey on the steep mountain 4X4 routes that wind their way down the Edom Mountains. These dramatic scenic routes, such as Wadi Dalara and Wadi Namla take us all the way down to the Arava Valley that runs the whole length these beautiful mountains. Driving to the north of the Arava Valley we reach the Moav Mountains of the Dead Sea area and their famous canyons such as Wadi Arnon, which is almost sub-tropic. Iben Hamad and Wadi Hadira are the most impressive of all of these canyons, hidden in the heart of the Jordanian desert, these narrow and deep canyons flow year-round with warm spring water and natural rock pools are scattered throughout their length. We spend several hours each day walking through each of these canyons. During these walks you're probably going to get very wet and at times may have to swim a little. Having reached the enormous red sand dunes of the Northern Arava Valley, an exciting drive through these dunes takes us on to the breathtaking canyons of Wadi Ahmer and Wadi Nachla. Walking through the narrower canyons ones and driving into others, you will see canyons of imposing red granite rock and soft colorful sandstone, side by side, in this region of delightful contrast. Jordan tours Price: 2 pax.- 570$ per day in total, 3 pax- 260$ p.p. per day 4 pax or more- 230$ per person per day. Jordan tours price incl. : camping or Hotel accommodation. 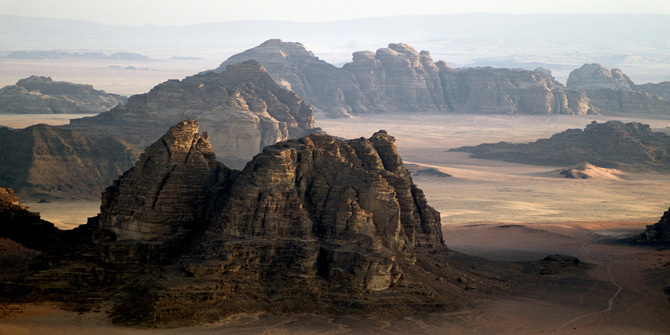 This tour to Jordan focused in the area of Wadi Rum Difficulty level - from easy to difficult, according to request. Exploring the whole region of the legendary Wadi Rum upon the most ancient and by far the most enchanting mode of desert transport, the camel. With its leisurely pace and gentle swing this great creature carries its rider and load over sand and mountain, through canyons and wadis, whilst barely seeming to notice their presence. Despite ungrounded stigmas to the contrary, the camel is in fact a quiet placid animal (although occasionally stubborn) whose harmonious relationship with its handler often lasts for a lifetime. In this region particularly, camels have for thousands of years been living with the Nomadic Bedouin and are entirely domesticated. Escorted by its Bedouin handler (who will show you how to ride your camel properly and comfortably), your camel will carry you on the desert voyage through this mystical and magnificent land. Where, since ancient times, its rare visitors have witnessed in awe, its timeless and splendid wonder. During this voyage you will meet with local Nomadic Bedouin and witness their unique way of life. You will walk through desert valleys and canyons, rarely explored since the dawning of time and visit the stunning Nabatean City of Petra. Our evenings and nights are spent around a campfire under the astonishingly clear skies, laden with the millions of brilliant stars which make the desert nights the most splendid of all. Jordan camel tours Price: 2 pax - 560$ per day in total, 3 pax - 250$ p.p. per day 4 pax or more- 220$ per person per day. Jordan camel tours do include camping and hotels 3* accommodation. This Jordan tour focused in the Canyons of the Dead Sea, Moav & Edom Mountains. Difficulty level - from moderate, to difficult for experienced hikers only. For people who truly love to hike through nature, there can be little that matches the appeal of a trek that combines breathtaking mountain peaks with deep canyons and gorges. Centered in the Northern Edom and Moav Mountains, we hike each day through one of the magnificent canyons that are unique to this area. Beginning in the mountains we descend through the canyons and are met in the evening by a car or jeep carrying our evening provisions and camping equipment (this keeps backpacks light, allowing us greater freedom and comfort). The same transport returns us up to the mountains and our start point for the next day's hike. Many of the hikes pass through canyons of running water, where short swims are sometimes essential in order to pass. Favorite hiking routes include: Petra and Wadi Mussa, explore the wondrous Petra before setting off on a hiking trek no less astonishing. Wadi Mussa (meaning 'Valley of Moses'), begins high up in the Edom Mountains at Petra, and ends in the sands of the Arava Valley. 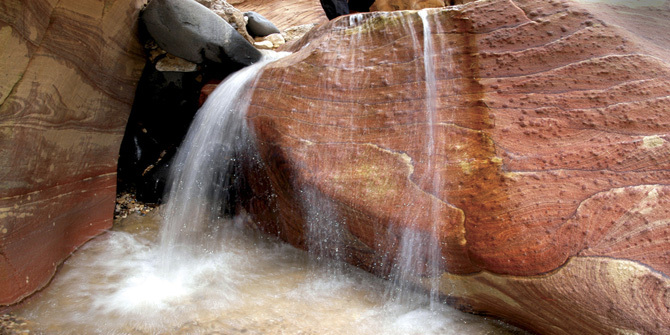 A full-days hike takes us through this famous Wadi, rich in picturesque waterfalls, Bedouin Gardens (where fruit and herbs are grown) and ancient Nabatean ruins. Wadi Eben Hamad is the most colorful and scenic canyon in the area, a warm spring runs its entire length before reaching the Dead Sea. Warm rock pools are found throughout the whole canyon, covered in trees and vegetation it is almost sub-tropic. Most surprising of all, in the midst of all this, is a real man-made Turkish bath, surreal in its location, it is surrounded and sheltered by trees. We bathe here in the warm water of what must be one of the area's best kept secrets. Wadi Arnon and Wadi Hidan are the largest and most impressive of all the canyons. Their vertical walls tower 500 meters from the base and the streams, which run their length, reach up to 15 meters high after rain. Due to this no vegetation can grow in the canyons. Particularly outstanding are their Travertine's (similar to stalagmites) and the palm trees that in places grow horizontally across the top of the canyon completely obscuring the sky. This gives the impression of actually walking through a massive cave. Wadi Hassa, imposing vertical walls tower over the hot springs and waterfalls running at its base, an 18km walk takes us right through this lush green canyon. 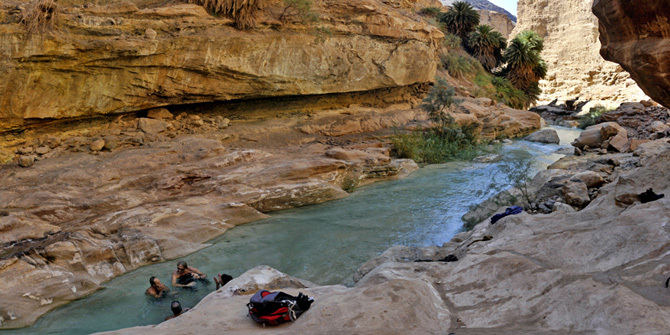 Wadi Zarkat El Mayin ('Green Valley of Springs'), hot springs originate at the top of this impressive canyon and flow all the way down to the Dead Sea. Wadi Ruwer, is the lesser traveled and wildest of all the canyons and a firm favorite amongst our guides. Jordan hiking tours Price: 2 pax.- 560$ per day in total, 3 pax- 245$ p.p. per day 4 pax or more- 215$ per person per day. Day 1 - Departing for this Jordan tour early morning we head straight to Jordan's treasure - Petra. A city so steeped in myths it remains almost a legend to this day. We tour by foot this remarkable and fascinating city, visiting the sights of particular beauty and interest. Whilst hiking through Petra we learn about its creators and occupants. We journey through time as we hear about its rich and colorful history. We stop inside Petra for a buffet lunch before continuing our tour of the sites main archeological highlights. You may use the services or local camel and mule handlers to help us on the return journey from ancient Petra to our vehicle. We leave Petra in our jeeps and begin our journey on the spectacular routes which wind their way down through the Adom Mountains to the Arava Valley. Setting up camp en-route for well-earned evening of relaxation under the desert skies. Day 2 - Driving to the north of the Arava Valley we reach the dramatic canyons and gorges of the Dead Sea area. Wadi Arnon and Iben Hamad are the most impressive of these canyons. Staggeringly deep and flowing year-round with hot spring water with rock pools scattered throughout their length. We take a four-hour walk into one of these stunning canyons on narrow tracks at times walking in the river itself. Having dried off, it's back into the jeep and on to the enormous sand dunes just south of the Dead Sea. Here in the soft red sand we spend a magical Arabian night. Day 4 & 5 - The last day of the tour is spent in the beautiful and vast Wadi Rum, here we find red sand dunes and natural pillars of sandstone rock that were sculptured by millions of years of gentle erosion. This enchanting and mystical region inspired T E Lawrence (Lawrence of Arabia) and we find here the 'Seven Pillars' named after his famous book. Wadi Rum's unique and awesome qualities still mesmerize the travelers who venture there. Having explored this beautiful area we head to our hotels or south, to join the main road and at the Arava border crossing arrive back in Eilat. Jordan tours price: 2 pax.- 550$ per day in total, 3 pax- 255$ p.p. per day 4 pax or more- 235$ per person per day. Wadi Rum hot air balloon, Climbing, rappelling, abseiling and scrambling in Wadi Rum. To really experience spirit of the desert we can leave the jeep tours behind and take a more traditional kind of journey, by camel. Camel tours in Wadi Rum offer an authentic desert experience, suitable for all ages and for families, it is an outdoor experience that is difficult to match. We join the local Bedouin and experience their ancient desert lifestyle, enjoying traditional meals and pita bread prepared on the open campfire. We camp outdoors at the most scenic spots along the route and enjoy magical Arabian evenings under the awe-inspiring desert night-skies of Wadi Rum. Each participant has his own camel to ride and the Camels in Rum are comfortable to ride on. They move graciously over the sands, treading softly and swaying gently in a slow relaxing movement. Its Bedouin handler accompanies each camel but those who prefer to ride their camel unaided my do so. Camel tours get to the lesser-visited areas of the Rum and involve some walking into the canyons and natural trails along the way. For thousands of years merchants have crossed the sands of Wadi Rum with their camel caravans on the spice route from Asia to Europe. The sandy expanses of Wadi Rum are surrounded by beautifully eroded mountains, rock formations, canyons and towering pillars of sandstone. We can find en route inscriptions left in the rock by those who traveled here many centuries before us. 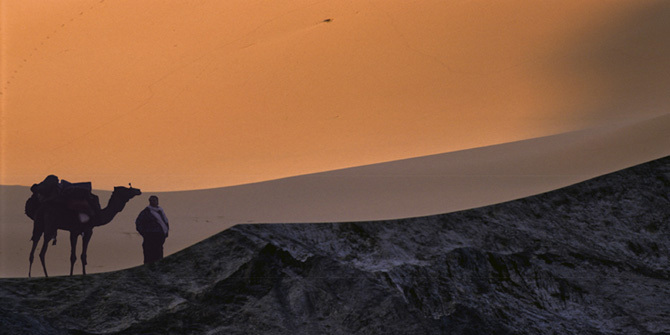 Camel tour durations are according to client's requirements. Please note extra Jordan tours Info. 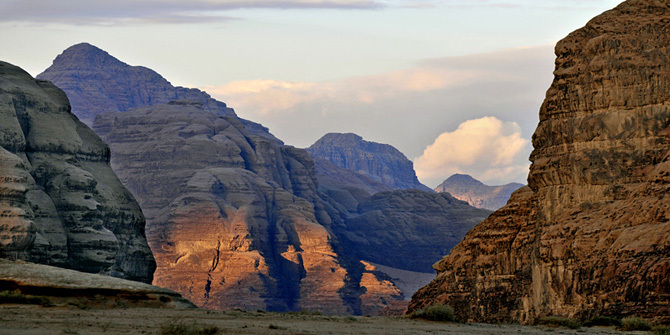 Jordan/ Petra tours prices include: professional guide, Jeeps, Camels, camping equipment, entrance fees and all meals. Jordan and Petra tours Prices do not include: Visa to Jordan, border taxes of $65 per person. Tipping is customary. We suggest a total tip of $10 per person per day. 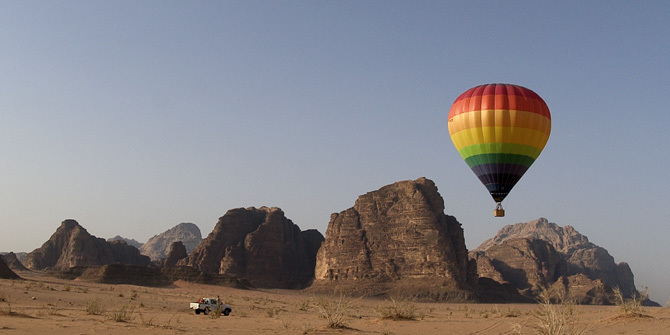 Enjoy a spectacular once in a lifetime experience over Jordan's Wadi Rum with a Wadi Rum hot air balloon ride. Read what our clients had to say about their desert experience with us in Jordan. Tour options from Eilat and Israel to Petra and Jordan. Dive Jordan's renowned Red Sea coast Diving in Aqaba.